Over 600 candidates from Kaduna had joined 7,600 others from two Nigerian states, Kano and Sokoto, officials have said. The Nigeriens in diaspora have been given the grace to elect their choice candidate in the country’s general election. In Kaduna, they are voting at Sheikh Gumi primary school, Tudun-wada, Kaduna, admist heavily harmed security operatives, who are on standby mode to rise against any eventuality. News Agency of Nigeria (NAN), reported that at the Kano centre, no fewer than 6,742 Nigerien eligible voters residing in Kano State are participating in the ongoing Niger Presidential and National Assembly elections. Rabi Abdou-Dabo, the Consul-General in the Niger Republic Consulate in Kano, made this known to the NAN in Kano on Sunday. She said that the voters were expected to vote for both presidential and National Assembly candidates. According to her, the voting which commenced at about 8 a.m., will end at 7 p.m. The Consul-General commended the government of Niger Republic for allowing its citizens in Diaspora to vote, which she said would give Nigeriens the opportunity to exercise their civic and constitutional responsibilities. “This is the first time since 1993 when our people in Diaspora are being given the opportunity to exercise their right as citizens of the country,” she said. She also commended the Nigerian government for deploying adequate security personnel at the venue of the election. Our people are very happy with the security arrangement as they are feeling as if they are at home,” she said. She expressed happiness that the election was being conducted peacefully and without hitches. 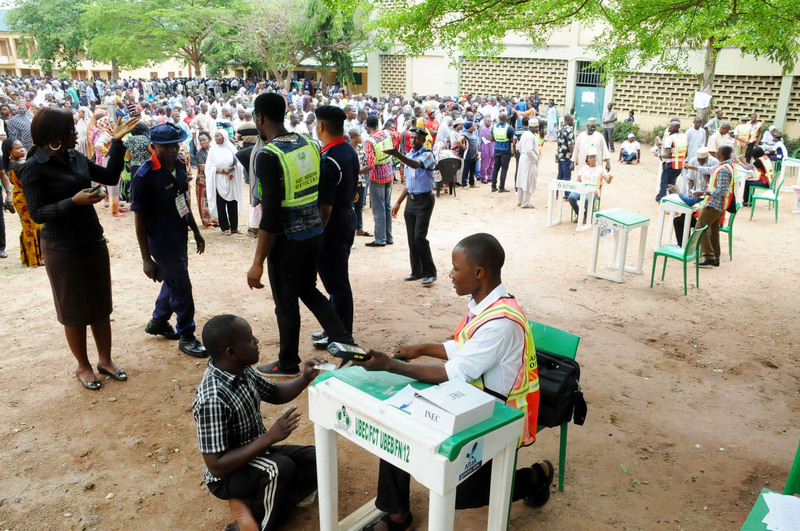 At the Sokoto Centre, no fewer than 867 citizens of Niger Republic are expected to cast their votes in Sunday’s Presidential and Legislative elections. A News Agency of Nigeria correspondent in Sokoto who visited the centre reports that Nigeriens resident in Sokoto, Kebbi and Zamfara states are casting their ballots at the Sokoto centre. Fifteen presidential candidates, including the incumbent President, Muhammadou Issoufou of the PNDS Tarayya, are participating in the election. Similarly, five political parties are participating in the legislative polls. Boubacar Namanta, an official of the Nigerien National Electoral Commission (CENI), told journalists in Sokoto on Sunday that 679 of the registered voters had collected their voter cards. “However, any of the registered voters who was duly verified will be allowed to vote even if he or she has not collected voter card,” Mr. Namata added. The Chairman of the Nigeriens resident in Sokoto State, Muhammadou Hussain, expressed satisfaction with the adequate arrangements made by CENI. He appealed to all Nigeriens to continue to be law abiding during and after the polls. A supporter of the opposition Moden Lumana Africa Party (MLAP), Noura Ayuba, also commended the adequate arrangements made by the Nigerian security agencies. A supporter of the ruling PNDS Tarayya Party, Adamou Ba’are, commended the peaceful conduct of the elections.